Over the holidays the Windsor Star did a great series on young people leaving Windsor-Essex. They followed up this series with a public forum that brought together the local Chamber of Commerce, the University and College, WE-Tech Alliance and YKNOT. Unfortunately I wasn’t able to attend the forum but I did watch the video stream during the following weekend, which was well timed as a brilliant article appeared in the Globe and Mail featuring lessons from the US Rust Belt for Ontario. Below are a few comments that I have about #WindsorGone and beyond. were not present we would be no different than communities like Dearborn, Southfield or Pontiac. In fact, we might be better off in many ways. The reality is that there is a border running down the Detroit River that puts us in a unique position; our closest market is just across the river but in another country making it hard for young people to get work in that market (or get the necessary Visas to work) unless they are recruited by American companies. This means that for young people who don’t have specialized training or dual citizenship, Detroit is a closed market. Domestically, the nearest major market is 4 hours away in Toronto, which means that young people move on to greener pastures when times are tough locally. As for our local companies the cost to ship their goods up and down the 401 to the GTA puts them at a competitive disadvantage and the border, according to a Statistics Canada Study, adds somewhere between a 0.5-1% tariff equivalent every time a good crosses the border. That doesn’t sound like much but when billions of dollars cross the border each day, a single percentage point adds up to hundreds of millions of dollars per year in cost. 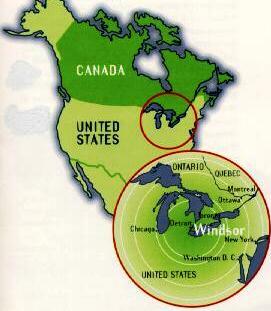 In other words, in many ways Windsor is in a hinterland, it does not have the local market size to justify economies of scale for medium enterprises and shipping to either Toronto or Detroit adds an additional cost to companies and individuals that could be easily circumvented by locating in those locations. Yvonne Pilon current President and CEO of WE-Tech Alliance is a major proponent of entrepreneurship as a possible answer to what ails Windsor-Essex and keeping young people in our region. For the most part I agree that entrepreneurship is a vital tool to keeping young people in our area but there is a problem with this hypothesis. As the Windsor Gone articles point out Windsor is home to some of the highest OSAP default rates in Ontario. These rates are brought on by Ontario students graduating with on average $29,000 of debt. Although the same chart shows that 50% of Ontario students manage to graduate without debt (I have no idea how) they are likely not those who come from low income brackets. With half of the students graduating from school carrying some debt, and many of them with degrees in a field that may not lead itself to entrepreneurial adaption, it leads to an increasingly shrinking pool of young people who have what it takes to make it in the entrepreneurial space. I will use myself as an example: after returning to Windsor and working a series of contract positions I seriously considered starting a business. Now, I consider myself smart, well read and somewhat savvy with some aspects of business development. I attended a few seminars at the Windsor Essex Small Business Centre to get some background information on starting a business and I even managed to identify a niche that my business could potentially fit into. I drafted the framework of my business plan, looked into potential competition and began to budget. Unfortunately, at the time I had $30,000 of debt which had monthly payments of approximately $500 (please note that I went to graduate school and I consider myself blessed to have only carried that “little” debt after graduation) before any other monthly expenses. I solicited quotes from marketing companies and web designers (as I planned to have a strong web based presence), looked into renting space, I even examined the possibility of forming my business as a social enterprise/not-for-profit organization as a means to take advantage of certain grants and tax breaks. Just to get my idea off the ground, I realized that I would need to take at least another $15,000-$20,000 of debt in year 1. I did the math, and decided it wasn’t worth the additional debt at this point in my life (being newly engaged and my fiancee getting her PhD). In my opinion, this is a struggle that many young entrepreneurs face and despite a number of organizations and potential funding opportunities, successfully launching a business in Windsor isn’t easy. The fact is that, nationally, small business failure rates are somewhere in the 20-30% range shows it is a challenge and given the struggling local economy I imagine that local rates are even higher. Without a balanced and stable economy to support start ups and small businesses it is hard to see how entrepreneurial ventures will succeed reviving our region’s economy or keeping young people local on a large scale. Unless Windsor hits the jackpot with the next billion dollar app developer emerging here, most small businesses only employ a handful of employees, sometimes taking years to become profitable and they don’t have the capacity or need to hire large numbers of young people to keep them local. The presence of both Dr. Wilderman and Dr. Strasser on the Windsor Gone panel highlights the importance of education in driving change in our community. On this subject I have a few statements. First, although Dr. Strasser walked back his initial comment about students feeling “entitled”, I can’t help but agree with his original sentiment. From my time as a Graduate Assistant, my mother being a High School math teacher and afFiancee currently teaching labs as a part of her PhD, I have seen on numerous occasions where students expect answers to be given to them, getting exemptions or extensions to work for no real reason or an explanation and that they expect a maximum grade for a minimum amount of studying or work. This doesn’t apply to all students, but in general, enrollment standards at universities and colleges have fallen over time and these institutions receive government funding based on a formula that includes the number of students enrolled in their programs creating a situation where the incentive for institutions is not to enroll the best and brightest but to just enroll students to justify their programs and institutions. The second issue with education is that in my opinion too many students are entering University/College without a career path in mind and as a result entering general fields of study. This is why you find OSAP default rates at U Windsor averaging 7.6%, well above the provincial average of 4.5% in 2013. Looking at specific fields of study finds that Social Science default rates are 11.9% and the humanities are 12%, respectively. These programs tend to be the programs where the students who are going to University “just because”, and as a result they graduate with a degree of little value. Part of the problem is that due to the size of our community and local economy we can’t employ the number of students entering these programs, and as a result they can’t find a fulfilling job locally and either leave the region or are forced into default. Everything that I have said also applies to St. Clair College, which had an 18.4% default in 2013 which compares to a 13.2% provincial average, with specific programs saw a default rate in excess of 50%. What I am getting at is that tough decisions can and should be made about what courses and programs are offered at Windsor’s University and College. Why give students the false hope of local education and employment by letting them go to school close to home when they will struggle to find a job in that field locally. Yes there is a potential financial savings of living at home but if they then have to move to a different city following the completion of their degree to find work, they may have been better off taking on additional debt, pursing their passion away from home at an institution with the key connections giving them a leg up in the industry they they wish to enter. Does Windsor need 45 students a year entering History? What about 250 in Psychology? Even if these degrees are stepping stones to post-graduate education, how many jobs in these fields are there in Windsor-Essex? 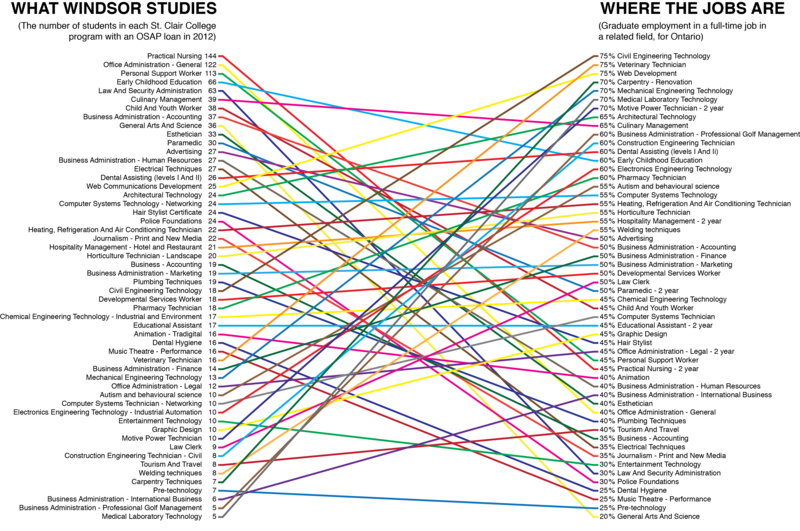 Smaller more agile institutions that offered fewer courses but at the highest quality would certainly do much to attract the best and brightest to our community. Yes post secondary education should be about enlightening the mind, but to attend these institutions for the sake of it is madness and frankly we very well could be doing young people a favour to direct them away from programs that have little (no) hope of leading to employment in our community. This wasn’t a topic that was directly addressed in Windsor Gone but its underlying influence impacts almost every area of Windsor-Essex. Simply put, our economy is built on a 19th and 20th century mentality in a 21st century world. The backbone of the Windsor-Essex economy is manufacturing, and over the next 20 years we probably won’t need that many people to make anything here. The writing is already on the wall, the Windsor Assembly Plant (WAP) used to employ over 6,000 people in 1995; today it is about 4,600. 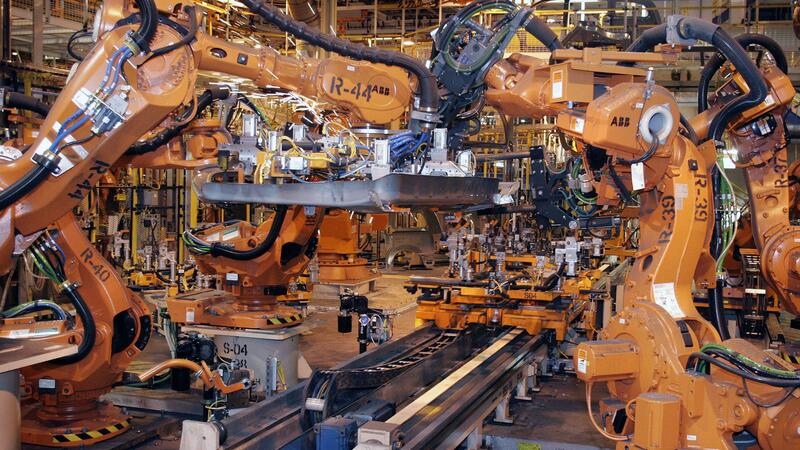 With the newest, most advanced assembly line going in to the WAP including some of the most advanced auto assembly robots available would it surprise anyone that in the next round of buyouts or contract negotiations the numbers of workers continue to drop? Just this past week, Ford announced the new carbon fibre body GT would be built in Toronto with “dozens” of new jobs. Although the GT is going to be a limited production super car, carbon fibre bodies are the future of auto design where a single piece bodies is molded rather than assembled. What if the next, next generation of mass produced vehicles are made in the same way and you don’t need hundreds of people to weld, rivet and screw the cars together, what does that do to our city? Many business leaders, academics and nerds have raved about the wonders of carbon fibre, 3d printing, nano technology and quantum computing and how they are going to revolutionize the world. Is Windsor ready for that? Is there a job for the 48 year old assembly line worker in that economy? The simple answer is no and it quite likely will result in structural unemployment in our region that could last a generation. When this sea change occurs, those without the proper education or those who aren’t able to easily adapt (older workers) will be left behind. Those who have the foresight or are lucky enough to have the right skills will prosper but for the vast majority of Windsorites, these skills are beyond them and the don’t have the means to learn them leaving them trapped in a low end service economy. “attitude”, too many factors are beyond the control of our community and its leaders. We can say we want to diversify our economy but without Provincial and Federal incentives it is hard to attract business to our region. There is no guarantee that we will keep the jobs that we have; will the Ford Engine plant(s) survive long term after Mexico was picked over Windsor for their new plant? How is the aging population of our region going to change the job market and feeling of our communities? Will young people want to stay if the geriatric brigade is wielding political and social influence? Around the world there is a challenge of getting young people to enter the trades, what makes us believe that we can convince our young people to act differently? All of these are challenges that can potentially prevent Windsor from moving forward and reinventing itself. Two things set Windsor apart from a place like Detroit or Pittsburgh. First unlike Detroit, Windsor doesn’t have a billionaire benefactor willing to take on much of the initial risk in jump starting the revitalization of our community. So there is a question of where the leadership and financing for our community’s revitalization will come from? Second, both Detroit and Pittsburgh lost half their populations following their respective collapses. Although I hope it never gets that bad here in Windsor, it was from these small populations that those city’s rebirths emerged, as extraneous services and sectors of their respective cities were abandoned and were able to be rebuilt from the ground up. Windsor has neither fallen that far nor does it appear to be headed in that direction and short of Chrysler and Ford both closing their plants it probably won’t happen. So the question is, can Windsor separate itself from this limbo and revitalize itself while remaining attached to our manufacturing history? Part 2 of this blog will be posted soon and will examine what Windsor(ites) can actually control and improve to ensure that young people stay local and that we have a strong economy.